Why did Fr. Justin love and honor the Blessed Mother so much? 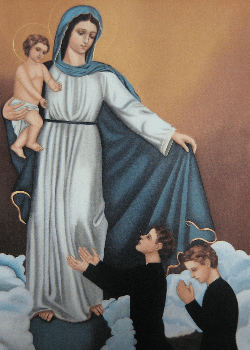 maternal care of the Blessed mother? On February 14, 1938, Fr. Justin wrote in his “Book of the Soul” saying, “It is as if the Blessed Trinity dictated to me in a particular way that the Blessed Virgin Mother is my immediate spiritual directress. Opere, Vol.11, p. 115.